This is the perfect shirt for all of you hotrod enthusiasts! 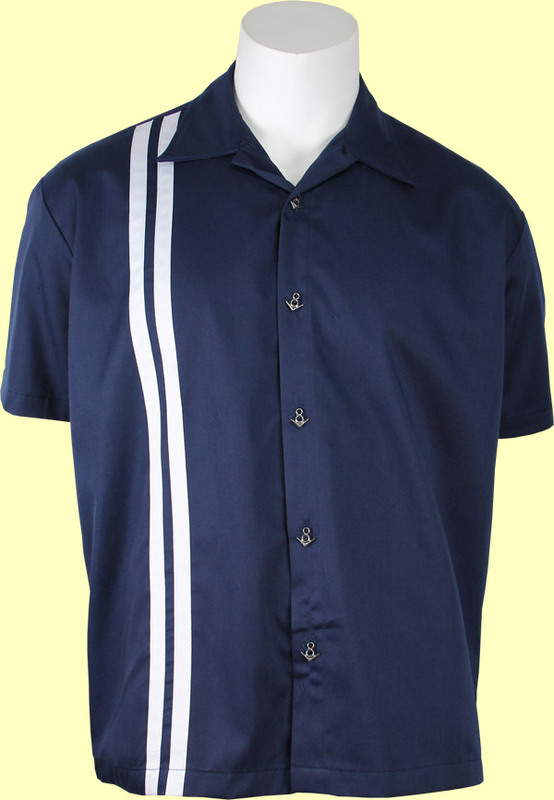 The shirt has a navy blue body with two white racing stripes running down the right side. Features metal V8 buttons. Get your motor runnin'! !